David Dell’s practice includes nearly all types of civil litigation. He has represented clients in breach of contract cases, negligence cases, trust and estate litigation, employment disputes, securities litigation, trade secret misappropriation cases, and real property disputes. Mr. Dell has obtained successful verdicts in both jury and bench trials. Mr. Dell grew up in Northern California and received his B.A. from Columbia University, and his law degree from the University of California, Hastings College of the Law. While in law school, Mr. Dell externed for the Honorable Kevin McCarthy, San Francisco Superior Court, and spent a summer interning at the California Attorney General’s Office in the Public Rights Division. 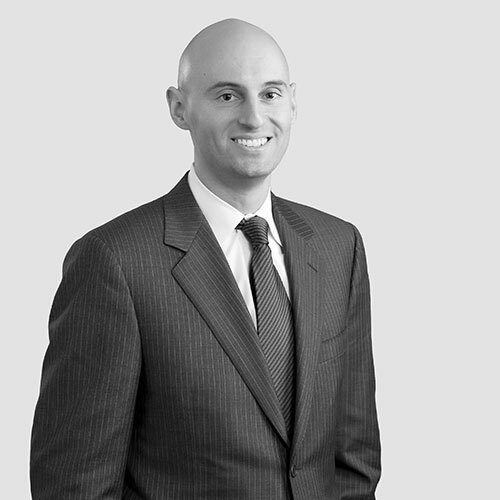 Prior to joining Coombs & Dunlap, Mr. Dell spent four years working as an attorney in San Francisco at a large, international law firm where he gained extensive experience in commercial litigation. While practicing in San Francisco, Mr. Dell also volunteered at the Cooperative Restraining Order Clinic where he assisted victims of domestic violence in obtaining restraining orders. Mr. Dell has been active in the community, and has served as a high school Mock Trial coach and as a member of the Napa Sunrise Rotary Club, where he has served on the Board. Mr. Dell is currently a member of the Napa County Bar Association and of the Richard M. Sangster Inn of Court. In his free time, Mr. Dell enjoys listening to music, cycling, snowboarding, and exploring the Valley with his wife and their two children.